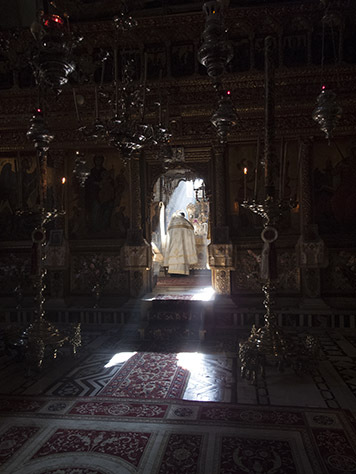 Father Pavlos celebrated the Divine Liturgy on Thursday after Pascha. 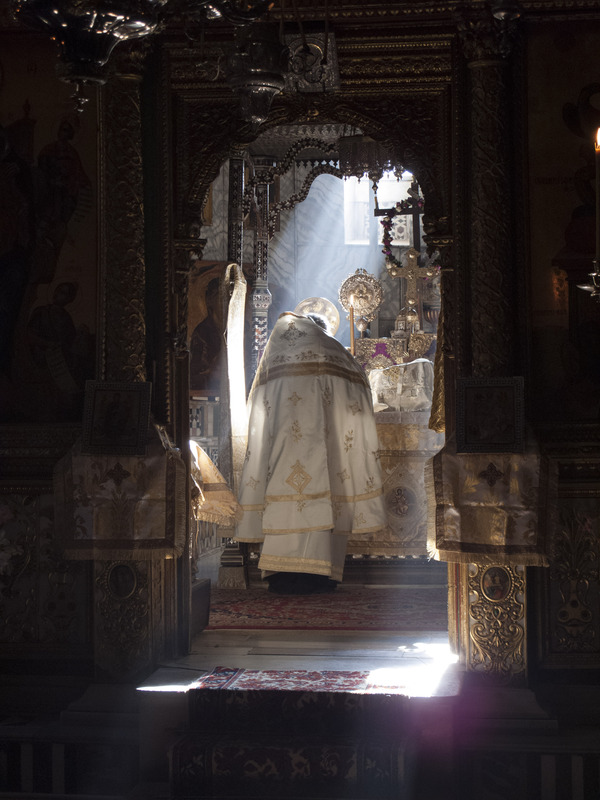 The sun entered into the bema as he was censing during the Cherubic Hymn, after which he placed the paten and the chalice upon the Holy Table for the consecration. Now are all things filled with light, heaven and earth, and the regions under the earth: let all creation, therefore, celebrate the Arising of Christ, whereby it is established. The arising of Christ, the tender heart of St. Katherina, you brought the light in my traumatic soul.